This is an Ultra Strong and high flow rate DC Fan and you will be amazed by the amount of wind it blow! Ideal for computer cooling system ,any other kinds of cooling or help your space be full of fresh air, and you won't be disappointed. Must be careful for the blades as it spins in very high speed! This item provide a Silver Metal Grill on the fan back side for safety. Note:I have to say it's the MOST POWERFUL OF ALL 120mm FANS, a Monster of fans,super power of move a considerable amount of air.This fan is a little loudly when worked on. If you don't need it too much power,you can add a Speed Controller by yourself,Instructions are not included however multiple videos are available on YouTube. 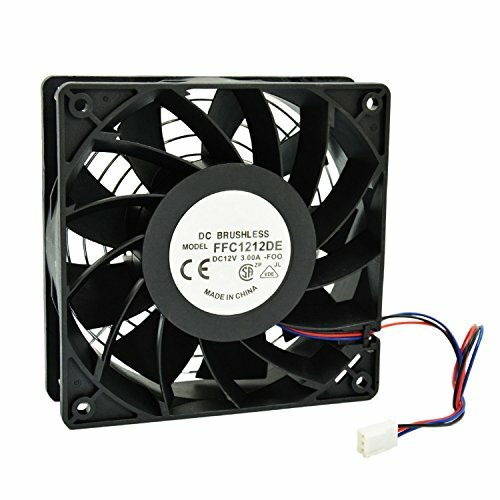 We have many type of fans sell on amazon,if you have any questions about product,Pls contact us by email.